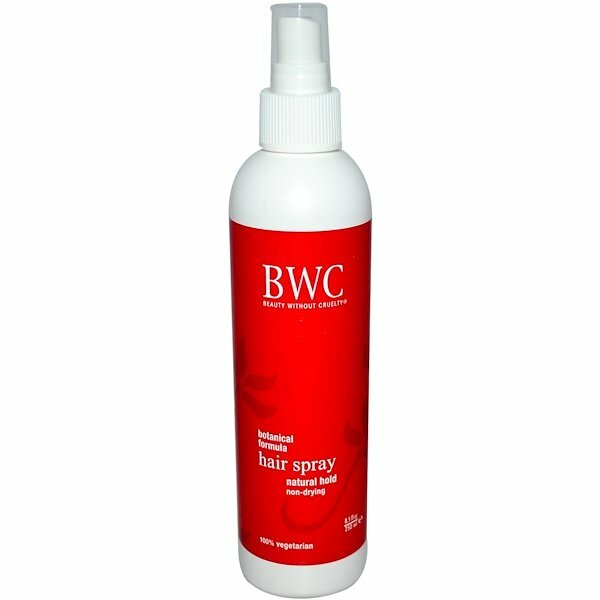 BWC Natural Hold Hair Spray provides styling hold without being stiff or sticky. Botanical extracts of lavender, ginseng, cucumber, and rosemary combined with pro-vitamin B-5 condition and protect your hair. 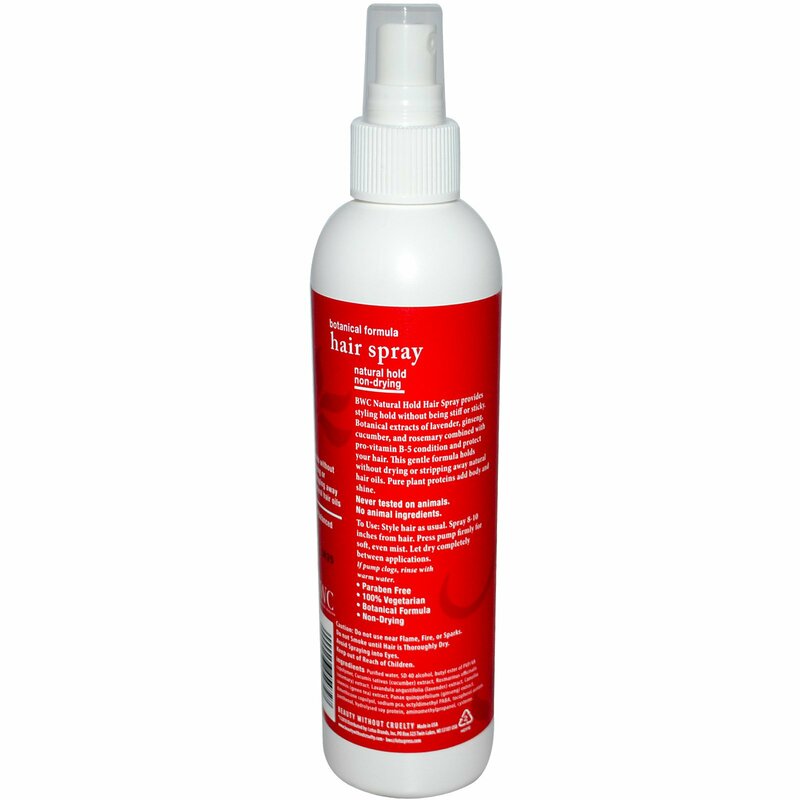 This gentle formula holds without drying or stripping away natural hair oils. Pure plant proteins add body and shine. Style hair as usual. Spray 8-10 inches from hair. Press pump firmly for soft, even mist. Let dry completely between applications. Caution: Do not use near Flame, Fire, or Sparks. Do not smoke until hair is thoroughly dry. Agua purificada, alcohol SD 40, éster butílico de copolímero PVP / VA, extracto de cucumis sativus (pepino), extracto de rosmarinus officinalis (romero), extracto de lavandula angustifolia (lavanda), extracto de camelia sinensis (té verde), extracto de panax quinquefolium (ginseng) , dimeticona copoliol, sodio pca, octildimetil PABA, acetato de tocoferol, pantenol, proteína de soja hidrolizada, aminometilpropanol, cisteína.